Jose has spent the past 30 years as a senior executive specializing in information, publishing and education companies in a variety of markets. 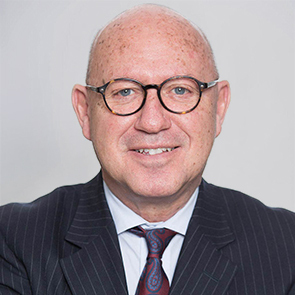 His expertise is in business development and acquisitions and spans the globe reflecting his work acquiring businesses in 12 countries covering the US, Europe, Asia, Latin America and Eastern Europe. Jose began his senior management experience as CEO of International Thomson Publishers (now Cengage) – IberoAmerica. He went on to become Managing Director of Richmond Publishers (a division of Santillana), then Managing Director of Harcourt Publishers International. From there, Jose joined Elsevier Health Sciences as CEO of the International Health Sciences division where he built the premier Health Sciences information business outside of North America. Most recently, he was CEO of Kaplan Europe charged with growing the business via acquisition and organic development in Higher Education, Professional Training, English Language Teaching and Pathways. Jose serves on the Board of Fuse Universal. Born in Mexico, Jose was educated at Reed College in Portland, Oregon and at the University of California – Berkeley from where he received a B.A. degree. Jose is a director of Fuse Universal.